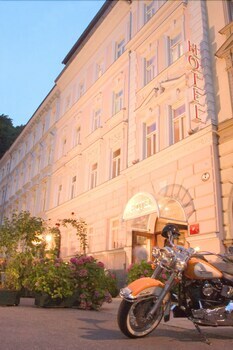 Family-run hotel situated in central Salzburg, two blocks from Mirabell Palace and four blocks from Mozart's birthplace. 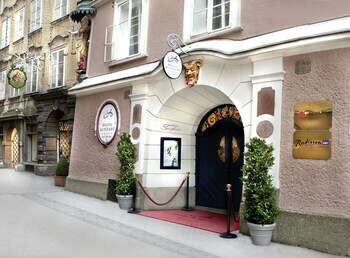 Great hotel to stay in Salzburg. It was our family's first time in Salzburg. We had a long train journey, so made a stopover in Salzburg along our route, and it became one of the highlights of our trip. Check in was efficient, our room was ready early which was a bonus. The room was spotless and well equipped. The WiFi was the best i’ve experienced in a hotel. We ate at the Sky restaurant, Pitter Keller and the Sky Bar, all were excellent. The Sky bar restaurant was amazing and again we couldn’t fault the staff. Excellent hotel, great service and food! Excellent service and concur the location. Great parking. Where to find Salzburg hotels near an airport? How can I find hotels in different Salzburg neighborhoods? 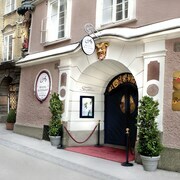 Where can I find hotels in Salzburg that are near tourist attractions? Travelers are spoiled for choice when it comes to booking comfortable places to base yourself in Salzburg. Expedia's up-to-the-minute database has 128 lodging options that are within 0.1 kilometres (0.06 miles) of central Salzburg. Booking accommodation close to the heart of Salzburg couldn't be easier. 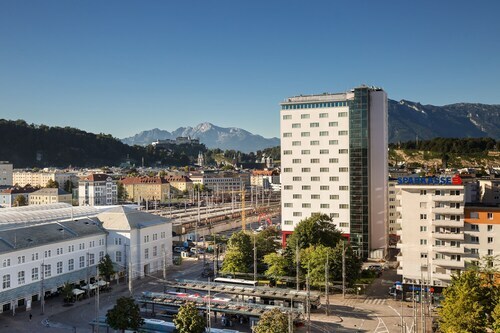 Expedia's comprehensive booking page features the Schloss Mönchstein Hotel and Bristol Hotel Salzburg, which are located a short distance of the city center. Anif is a neighborhood that has 4 Expedia-registered places to stay, making it the part of Salzburg with the largest selection of Salzburg hotels. 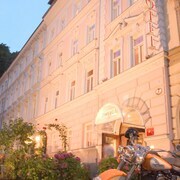 Anif accommodations include the Boutique-Hotel & Apartments am Essigmanngut and Kaiserhof Anif. Alternative hotel areas include Itzling and Kleingmain. The Plainbrücke and Itzlinger Hof are in Itzling, while Kleingmain is where you'll find the ARCOTEL Castellani Salzburg and Motel One Salzburg-Süd. The Laschenskyhof and Wohlfühlhotel Gabi can be found in Wals-Siezenheim, and Hotel Untersberg and Hotel Sallerhof are part of the Groedig area. Stay near to the Salzburg Cathedral by reserving a room at the Hotel Sacher Salzburg or the Hotel Goldener Hirsch, a Luxury Collection Hotel, Salzburg. If you'd prefer to make a base near to the Mirabell Palace, you should check out the Apartments Wolf Dietrich or Hotel & Villa Auersperg. The Hohensalzburg Castle, another important Salzburg attraction, is close to the Sheraton Grand Salzburg and the Arthotel Blaue Gans. Accommodation options near the Mozart's Birthplace include the Hotel Garni Frauenschuh and also the Das Grüne Bio-Hotel zur Post. The Expedia team understand that all travelers have different vacation budgets. 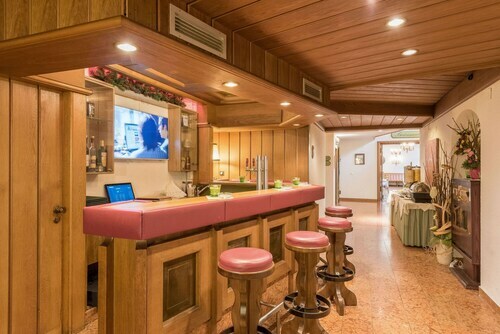 So if you are searching for a hotel at the cheaper end of the range, the Salzburg area features some solid options to choose from. The Kaiserhof Anif is 8 kilometres (5 miles) from the main part of Salzburg, while the Hotel Gasthof zum Kirchenwirt is 10 kilometres (6 miles) away. 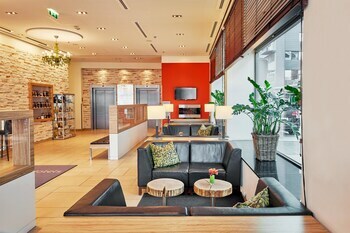 Other options in the lower price range are the NH Salzburg City and the Ramada Hotel Salzburg City Centre. 16 kilometres (10 miles) away from the center of Salzburg, is the Schloss Fuschl, a Luxury Collection Resort & Spa. Alternatively, the Gasthof Hartlwirt is situated 4 kilometres (2 miles) away. 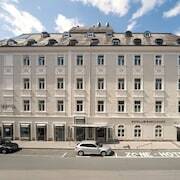 Two more options are the Sheraton Fuschlsee-Salzburg, Hotel Jagdhof and the Stadtkrug. Why don't you spread your wings and visit the many other attractions around Salzburg while you are here? Visit Salzburg's castles and old towns. Nature lovers could also take the time to admire its mountains. Common activities in this part of Austria include snowboarding, skiing and cross-country skiing. Looking for more things to do? Why not spend the day exploring Mozart Memorial House and Musikinstrument Museum, in St. Gilgen, 25 kilometres (15 miles) to the east of Salzburg. 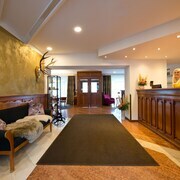 The Gasthof Hotel Fürberg and Gasthof Zur Post are some of the long and short-stay alternatives in St. Gilgen. Or stay in Wolfgangsee, 30 kilometres (18 miles) to the east of Salzburg, where you'll find the Romantik Hotel Im Weissen Roessl and Cortisen am See. If you stay in Wolfgangsee, be sure to visit the Pilgrimage Church of St. Wolfgang and Heimatkundliches Museum. Located 4 kilometres (2 miles) away from Salzburg is W.A. Mozart Airport. 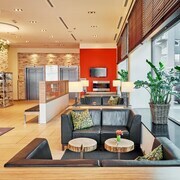 Stay nearby at Crowne Plaza Salzburg - The Pitter or Hotel Garni Melanie. 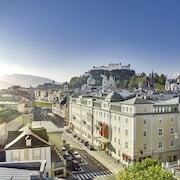 What are the most popular Salzburg hotels? 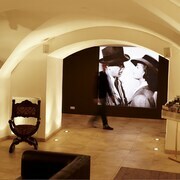 Are there hotels in other cities near Salzburg? What other types of accommodations are available in Salzburg? Explore Salzburg with Expedia.ca’s Travel Guides to find the best flights, cars, holiday packages and more!